Will you be taking advantage of either of these offers? Cough up in the comments section below, and be sure to take a look at the Best Black Friday 2018 PS4 Deals in the USA through the link. Yup, got mine directly on psn. 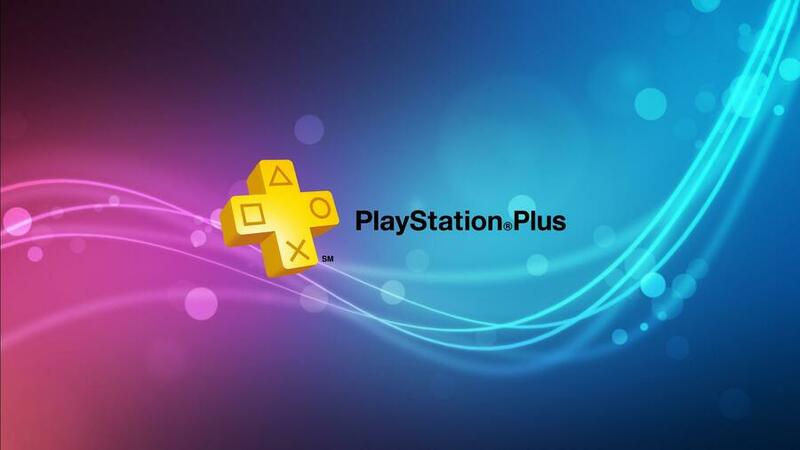 PS plus for $40 is a good deal. Do the games get taken away once I unsubscribe? It seems like good deals but I never did it cause I dont want temporary games. Saw this on PSN last night. When I clicked on it they were nice enough to even show me my subscription is currently good until Feb - I thought I had started Black Friday and was ready to buy - so I may hold off for a better deal over the coming weeks. And I never play online anyway so it's just a matter of missing out on the rentals and discounts, and I have enough to play for now. Edit: Duh, I thought this was for PSN, didn't realize it was Amazon. My 5% back w/ Prime is making me think about it a little more. @Leveling_Down You never lose the free games but you'll be unable to access/play them again until you renew your PS+ subscription. It’s still $59.99 at wal mart and target in the states. Thanx I see. Maybe just for the discounts then. I might make my money back on games I buy . I dont really do online. @Neolit Same. Hard to pass up. @rjejr I doubt you'll find a better deal outside of cashback/discount offers like Target or Amazon etc. Only sites that'd sell 12 months for less than $40 would be eBay or "shady/gray sites" (I shall not name them). All of them are $40 Digital, just gotta know where to look . Target hasn't changed the price yet but they're probably waiting until it's closer to Black Friday. @Leveling_Down The free games are still a nice deal, and $40 for a full year isn't that expensive...especially when you consider monthly subs are $10...that's eight months extra for free. @KidBoruto I bought it $39.99 from GameStop yesterday, I just noticed Walmart changed it, Target should be doing it soon. @KidBoruto Yeah I probably should buy PS+ for $40, but knowing I still ahev ti until February maybe I can wait for a Valentine's Day or Presidents Day sale. Good thing about retail, there's always a sale. Also possible Sony feels the need to have a sale in March when they kick PS3 games off to get PS3 owners to renew. I can go a month w/o PS+. @Badboyfx86 Target's still charging full price...maybe they won't be offering it on sale? @rjejr I doubt the Valentine's Day sale will be as cheap as Black Friday though, you willing to wait and pay the extra $5-$10? Fair enough I suppose, to each their own. @KidBoruto you willing to wait and pay the extra $5-$10? I might. Or the other option my kids want to and I get to freeload. Or we spend the year playing Switch games so I don't need PS+ until PS5 launches. I don't really see it only as pay less now or more later, there's always other variables and options to consider. @rjejr True I didn't think about it like that. I just bought my first Xbox One (X model) so I kinda understand. @KidBoruto Just out of curiosity, do you have a 4k TV for that X1X? I still don't have a 4k TV so I'm less inspired to buy a 4k system. My 52" 1080p TV is about 8 years old, so I'm waiting on that to give up the ghost. @rjejr I literally just bought a 55 inch 1080p HDTV in Feb 2018 for myself. No 4K display yet but I plan to pickup a $400 Samsung 55 inch 4K UHD Smart HDTV during Best Buy Christmas sales or something similar. @KidBoruto I'm impressed you found a 1080p tv that large in 2018. I was looking at all of the BF ads in the Sunday paper and I think I only found two 1080p TVs about 40". And there were A LOT of TVs on sale for BF. And at crazy prices too, $300, $400 like you said. I was thinking about getting 1 for my parents, they have two 40" tvs and they look so small after all these years, I remember they seemed fine when they got them. It's still kinda crazy though, all these people buying 4k tvs but there really isn't any tv in 4k, just a few things streaming on NF and Amazon. Maybe a bit more but it's few and far between. By the time we get cable TV in 4k we'll all have 8k tvs. You can't win. @rjejr I'm not surprised they aren't selling standard 1080p screens that huge anymore, need to boost the 4K sales somehow . I'll probably miss out on the sale though, ran out of money and I don't get paid again until November 29/30. Hopefully there will be a similar sale during December...I'd be shocked if there wasn't. @KidBoruto I was in Target today and they had a 55" 4k TLC, one of the Roku models, for $349.99. TVs be cheap this holiday, maybe next holiday would be a good time for a PS5. @rjejr Thanks for trying to save me some money, but I'd rather pay $50 extra for Samsung brand quality . @KidBoruto Oh sorry, I wasn't trying to sell you on that model, just pointing out how insanely cheap 4k tvs are this holiday. I'm old to remember very clearly when flat screens first came out about 18 years ago and a 36" flat panel was literally about $10,000. I bought a 36" SD CRT for $1,000 back then. It weighed 250 pounds. I was just looking at the Walmart BF ad and they had some great deals too, though I realized any time I see a minimum number of item in s store it makes me not want to shop at that store. Not that I shop at Walmart anyway, the one near me closed down. Before looking at the Walmart ad I was playing the Astrobot demo, man is that game good. It was making me wanna vomit every time the camera moved me forward, but the rest was so good I was willing to put up with it. Best Buy has it for $20 for BF, now I just gotta see if I can get it online b/c I'm not leaving the house.